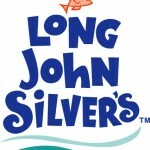 The Long John Silvers¬¬ Inc. is a fast food restaurant based in the United States of America. The brand name is borrowed from one of the main characters in the novel Treasure Island .The Company was a former division of Yum! Brands Inc. which bought it from Yorkshire Global Restaurants which had earlier acquired it after it went bankrupt. Its first restaurant was opened in the year 1969 located in Lexington in Kentucky. It is a private company and a subsidiary of the LJS Partners. Long John Silvers headquarters are in Lexington, Kentucky and it specializes in offering seafood as the main dish with other side dishes as French fries corn and coleslaw to its customers. There are currently 11 consumer reviews about Long John Silvers available. Share your review. SUGGESTION: Lower the salt content of your fish batter by at least half. PLEASE!! My wife and mother in law went to Long John Silvers 7/3/13, 7228 Stockton Blvd ,Sacramento , CA (916)-421-4907. Store#31910 They both ordered the BIG CATCHBASKET,@10:24 am pacific time, It's now 5:59pm. They both are sick, vomiting stomach pains head aches, at different houses. I Called the store and talked to the manager(Simargig) She said for me to call back, she had to call her G.M, so I did I called back in 30 Min. I politely ask for her by name, Informing her who I was She said her G.M. would be in the next day. She asked for my phone # I gave it to her with my name, I still have a sample of the fish, my wife told me the fish tasted funny and the water tasted musty, moldy. I went over to my mother in laws house to find her in the bath room vomiting as well, she told me the same thing as my wife did. It hurts to see the people you love SICK. The Long john silver's in South Boston VA was full of flies that you could not have your food in the restaurant without a fly landing on your food. That is not sanitary and the placed smelled like rotten fish. I left the restaurant unable to enjoy my food totally wasting my money on contaminated food. The health department need to be notified immediately. I just came from ordering 3 dinner's from store #31809 cashier name Arlyn G.ticket#2734 time 5:01 P.M. (It's on the ticket right) at 3535 Altamesa Blvd. ft. worth Tx. ;they shorted me a coldslaw and red sauce ! I went over the order 3 times and they still got it wrong ! We eat there 1 or 2 times a week, when I called the store (witch was no answer and busy)there was no answer ! and they weren't Busy. So I'm telling you at the home office ! I know it was just a mistake, But an un nessery one sence we went over the order 3 times ! It should not have happened ! I most likely won't go there again ! that tell's me there is an incontinent order taker ! Hi am ed. My # 8043023476. I eat at your store all the time and I love the food. But the last time I went I was mad as hell. First the manager was eye balling me like he wanted a date or a fight with me . Am not gay and he not so why did he challang me to a staer down . not onec but two Times. What was that about. And then he put a bunch of scraps in my food and told me that was the way it was done. I order the same food everytime and thats the first time I seen that. I took pictures and I keep the box with the garbage he put in my food. The store is the one in va on midlothian tnpk . I call back he said he was the manager his name was kevin. And he told me to call a person name paul at 18003848226 8965474 was the ext. I hope you call me back.thank you. 804 302 3476. Please bring back the wraps that you had in the 90's. Those were the best wraps ever. I have tried to recreate them and it is not possible. In today's busy world, wraps are very convenient. Please consider bringing those back. Please take a note that you are about to post a public review about Long John Silvers corporate office on CorporateOffice.com. This review will be public, so please do not post any of your personal information on this website. If you would like to contact the corporate offices of Long John Silvers, please use their contact information such as their phone number, website, and address listed above to contact them. However, sometimes staff from Long John Silvers headquarters do read the reviews on this website.